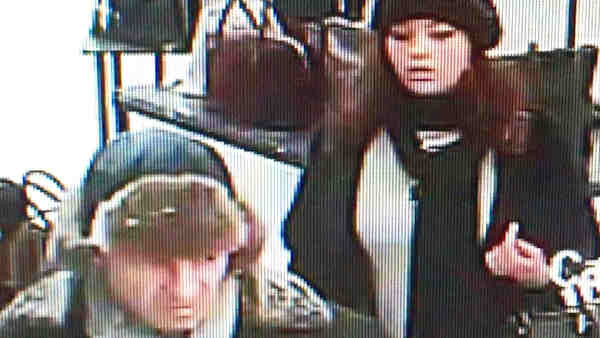 MIDTOWN, Manhattan (WABC) -- Police said at least four people are involved in a series of fur thefts that started back in October. Police said the pattern is to distract a clerk and then walk out with a hidden item. Luxury Living, The Fur Source of New York, Authentic Pre-owned, Saks Fifth Avenue and Riflessi have all been robbed. The crooks have gotten away with a mink cape, fur blankets and several fur coats. * The first individual is described as a woman, 25-30 years old, 5'6", 170lbs, last seen wearing a black hat, a black scarf, a black jacket and a gray sweater. * The second individual is described as a woman, 25-30 years old, 5'6", 140lbs, last seen wearing a white head band, black coat, blue jeans and black boots. * The third individual is described as a man, 45-50 years old, 6'0", 190 lbs, last seen wearing fur hat and a gray coat with fur collar. * The fourth individual is described as a man, 45-50 years old, 6'1", 175-180 lbs, last seen wearing a long black coat, blue jeans and tan colored shoes. Anyone with information on the theft is asked to call 1-800-577-TIPS (8477).